have been based on The Simpsons. nuclear meltdown. Oh, and he only has 30 minutes to stop the disaster! will open a Find screen that you can use to find the word you're looking for. resume your game from the beginning of the last level you reached. Begin a new story mode game. Select this to view all of the high scores you have achieved in the game. Toggle the Sound on and off. View the legal and development information about the game. Health: The bar in the middle represents Homer's health. 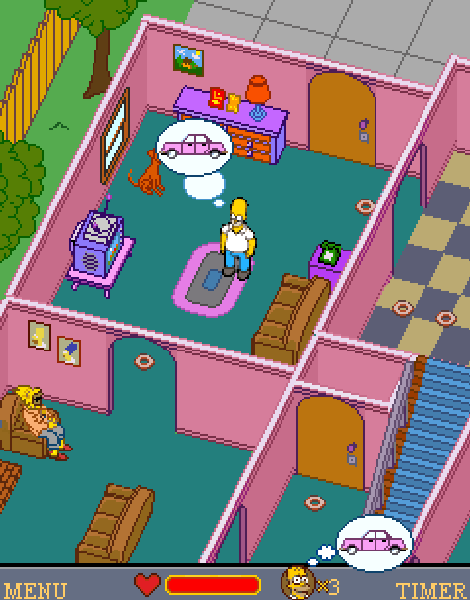 to start over again in the Simpsons' House! goal in the level is. Restart Level: Here you can restart the level. Settings: Toggle the sound on and off. Help: View the controls and other helpful info. Exit: Quit out of the game. you've taken to get to that point. Donuts            |  Restore small amounts of health. Buzz Cola         |  Restore large amounts of health. goals. These are pointed out in the walkthrough. Goal: Get to the car and head to the nuclear plant. Avoid furious citizens. meltdown problem needs to be averted. you are near an object or person that you can interact with. from interacting with Grandpa in the living room and moving various objects. kitchen and Maggie in the playroom on the right side. When you're ready, head up the stairs to the top floor. can return to the bottom floor. Head to the front door of the house to exit. 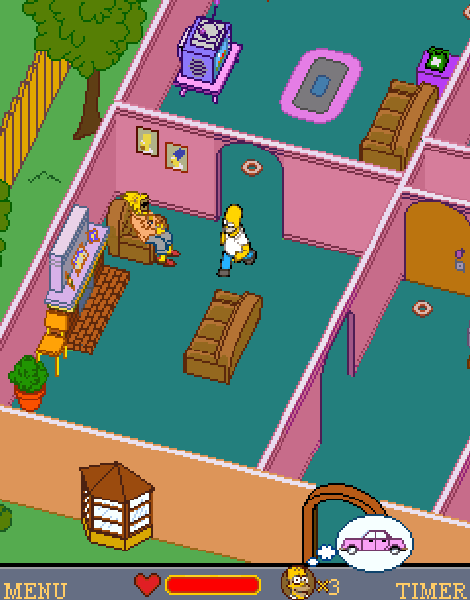 appear and steal Homer's car keys then run in the house. D'oh! new goal: her pacifier. Head upstairs. 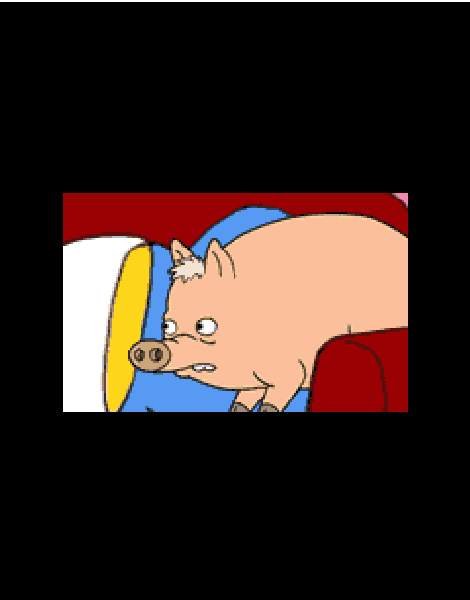 find that pig and stomach pump everything he's stolen! Return to the bottom floor. he's running, so head up to the top and hit the switch to turn off the lights. You'll find the pig in the last spot he was in before the lights turned off. the left side of the next street, and the chase continues! will be a big yellow nuclear plant sign pointing to the right. lovely nuclear plant signs to guide you in the right direction. Next stop: Springfield Nuclear Power Plant. Goal: Turn off the meltdown valve. Save everyone. Grab a donut. large door with the radioactive logo on it. guy tossing explosive radioactive goo. annihilation can be considered little) is to find a beaker full of red goo. to the left and step through the clone machine. Frink to open the bottom door if it's closed and get over to the laser grid. Press OK next to the panel near the lasers to open the path. OK in front of the valve to finally stop the nuclear meltdown and save the pig. Oh, and the town as well I suppose. pretty much responsible for! Great work. Q: Can I play this game on my mobile phone? A: This game is not available for Verizon Wireless and Virgin Mobile customers. 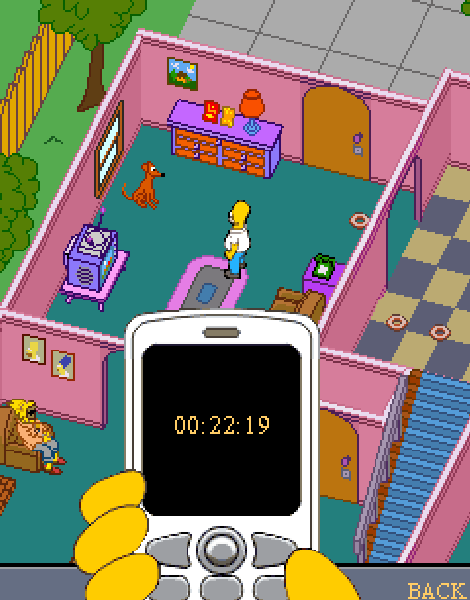 The game is compatible with the following phones and carriers. Q: How can I get this game? 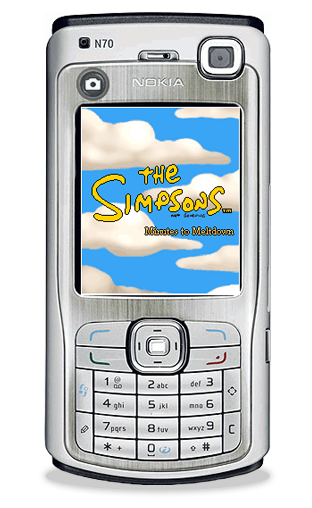 www.thesimpsonsmobile.com and download it directly from the website. the nearly sixty guides I've written to date. 5. The whole freakin' FAQ community for the hard work and dedication. Rock on. 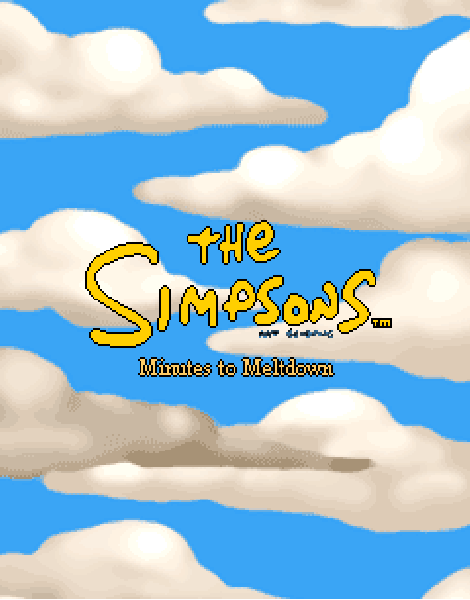 'Simpsons Minutes to Meltdown FAQ' or something similar in the subject line. 1. 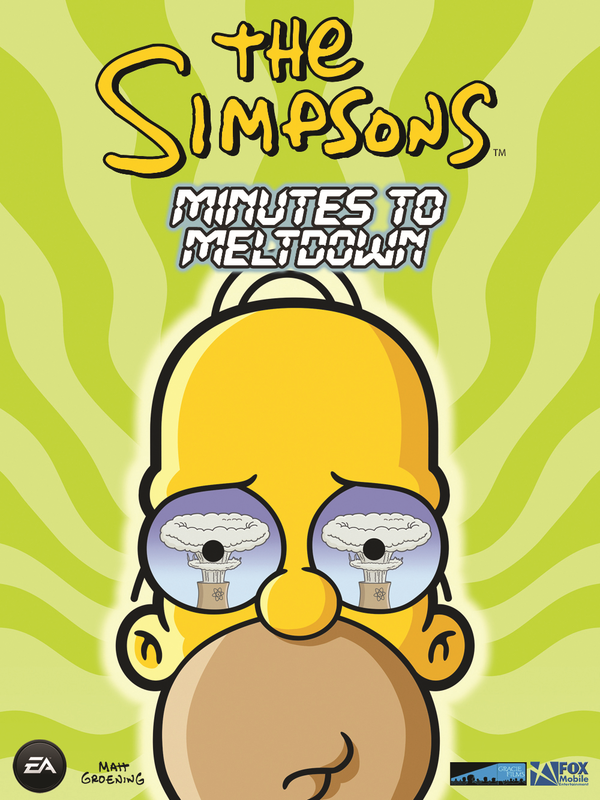 The Simpsons: Minutes to Meltdown � and � 2007 Electronic Arts Inc.
private use and may not be reproduced for commercial purposes.